Potato pulp was inoculated either with the antibacterial lactic acid bacteria Lactococcus lactis and L. diolivorans and the inoculated potato pulp was ensiled under anaerobic conditions for 30 d at room temperature in a mini-silo. We have previously reported that L. diolivorans produces antimicrobial peptides with potent antibacterial activity; therefore, the bacterium is expected to increase the fermentation quality of the potato pulp. The quality of the potato pulp silage was evaluated. The moisture content of the potato pulp silage was remained 822 g/kg before and after ensiling. The protein content in the silage increased from an initial concentration of 39 to 57 g/kg and 58 g/kg for L. lactis and L. diolivorans inoculations, respectively. The lactic acid content significantly increased from 2 to 52 g/kg (L. lactis) and 50 g/kg (L. diolivorans) after ensiling, whereas, toxic butyric acid was not detected with either treatment. These results suggest that the inoculation of potato pulp with L. lactis or L. diolivorans increases the quality and nutrition of potato pulp as silage. In particular, L. diolivorans is an efficient inoculant because it produces antibacterial peptides that prevent the increase of saprophyte in silage. Aibibula Y, Okine A, Hanada M, Murata S, Okamoto M, Goto M. 2007. Effect of replacing rolled corn with potato pulp silage in grass silage-based diets on nitrogen utilization by steers. Asian-AustralianJ Anim Sci, 20: 1215–1221. Association of official analytical chemists (AOAC). 1990. Official methods of analysis, 15th ed, Chapter 33, pp 7–33, Gaithersburg, Germany. Charmley E, Winter KA, McRae KB, Fillmore AE. 1996. Effect of inoculation on silage quality and performance of steers fed grass and cereal silages either alone or in combination. Can. J Anim Sci, 76: 571–577. Charmley E, Nelson D, Zvomuya F. 2006. Nutrient cycling in the vegetable processing industry: utilization of potato by-products. Can Soc Soil Sci, 86: 621–629. Daniel JL, Queiroz OCM, Arriota KG, Daetz R, Basso F, Romero JJ, Adesogan T, 2018. Effects of homolactic bacterial inoculant on the performance of lactating dairy cows. J Dairy Sci, 101: 5145–5152. Ellis JL, Hindrichsen IK, Klop G, Kinley RD, Milora N. 2016. Effect of lactic acid bacteria silage inoculation on methane emission and productivity of Holstein Friesian cattle. J Dairy Sci, 99: 7159–7174. KL, Masoero F. 2018. Effect of inoculation with lactobacillus buchneri LB1819 and Lactococcus lactis O224 on fermentation and mycotoxin production in maize silage compacted at different densities. Anim Feed Sci Technol, 246: 36–45. Kayouli C, Lee S. 1999. Silage from by-products for smallholders. In:Silage making in the tropics with particular emphasis on smallholders (Mannetje LT, Shelton M, Speedy A, Osorio H, Ed). Proc. FAO Electronic Conference on Tropical Silage. Rome, Italy. 161: 85–95. Li D, Wang Y, Zhang Y, Lin Y, Yang F. 2018. 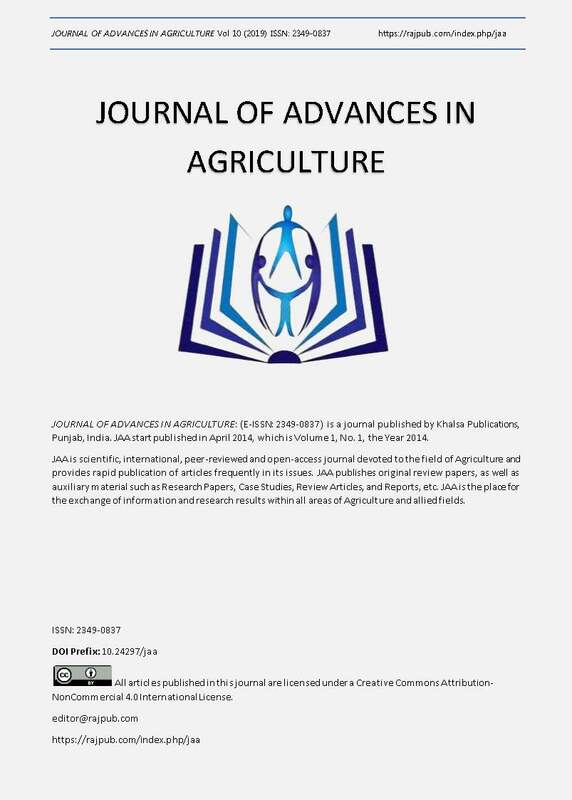 Evaluation of lactic acid bacteria isolated from alfalfa for silage fermentation. Grassland Sci, 64: 190–198. Li J, Zhang Y, Xu H, Xi X, Hou Q, Feng S, Wuri L, Bian Y, Yu Z, Kowk L, Sun Z, Sun T. 2017. Bacterial microbiota of Kazakhstan cheese revealed by single molecule real time (SMRT) sequencing and its comparison with Belgian, Kalmykian and Italian artisanal cheeses. BCM Microbiol, 17: 13. DOI 10.1186/s12866-016-0911-4. Mayer Hildebrandt JO. 1997. Potato pulp: Microbial characterization, physical modification, and application of this agricultural waste product. Appl J Microbiol Biotechnology, 48: 435–440. McDonald P, Edwards RA, Greenhalgh JFD, 2002. Animal nutrition. In 6th Edition, Longman Scientific and Technical, Morgan CA. McDonald P, Henderson AR, Heron SJE. 1991. The Biochemistry of Silage. Chalcombe Publications, Marlow, Buckinghamshire, UK, 109. Oda Y, Saito K, Yamauchi H, Mori M. 2002. Lactic acid fermentation of potato pulp by the fungus Rhizopus oryzae. Current Microbiol, 45: 1–4. Okine A, Haneda M, Aibibula Y, Okamoto M. 2005. Ensiling of potato pulp with or without bacterial inoculants and its effect on fermentation quality: nutrient composition and nutritive value. Amin Feed Sci Technol, 121: 329–343. Oyundelger G, Sumisa F, Batdorj B, Yoshida T. 2016. Isolation and identification of new lactic acid bacteria with potent biological activity and yeasts in Airag, a traditional Mongolian fermented beverage. Food Sci Technol Res, 22: 575?582. Sugimoto M, Saito W, Ooi M. 2010. The effects of urea-treated potato pulp (PP) ensiled with beet pulp or wheat bran pellets to reduce moisture of PP and flake density of corn grain supplemented with the PP silage on digestibility and ruminal fermentation in beet steers. Anim Sc. J, 81: 316–324. Tawila MA, Omer HAA, Gad SM, 2008. Partial replacing of concentrate feed mixture by potato processing waste in sheep rations. American-Eurasian J Agric Environ Sci, 4: 156–164. Tian Y, Mei X, Liang Q, Wu D, Ren N, Xing D. 2017. Biological degradation of potato pulp waste and microbial community structure in microbial fuel cells. Royal Soc Chem 8376–8380. Van Soest PJ, Robertson JB, Lewis BA, 1991. Methods for dietary fiber, neutral detergent fiber, and non-starch polysaccharides in relation to animal nutrition. J Dairy Sci, 74: 3583–3597. Wilkinson JM. 2005. Silage. Chapter 19: Analysis and clinical assessment of silage. In Chalcombe Publications, UK. 198–208. Xu Z, Zhang S, Zhang R, Li S, Kong J. 2018. The changes in dominant lactic acid bacteria and theirmetabolites during corn stover ensiling. J Appl Microbiol, 125: 675–685.